A quadruple amputee faces the biggest challenge of his life: climbing the mighty Matterhorn. It's a difficult and dangerous climb even for an ablebodied climber, but Jamie Andrew is no ordinary man, he truly is one of life' s extraordinary people. In January 1999 Jamie was trapped on an exposed ledge on the side of Les Droites and watched as beside him his friend Jamie Fisher died. He lost his hands and feet but never lost his determination, and vowed to continue pushing his boundaries in his friend's memory. Now Jamie returns to the Alps, leaving behind his wife and three young children, to take on his biggest ever challenge. And, despite yet another tragic development, nothing will put him off his attempt to conquer the infamous and deadly Matterhorn. 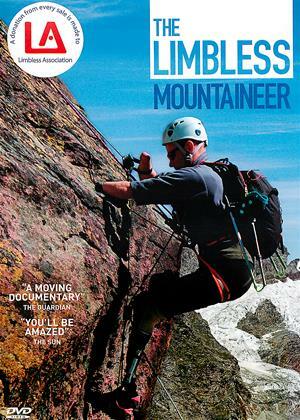 'The Limbless Mountaineer' follows this extraordinarily determined man as he pursues his dream.